Ladies and gentlemen, it’s the one you've all been waiting for! Get ready for the phenomenal talent that is Jill Scott at the Fox Theater Oakland on Saturday 12th August 2017!! Tickets are limited – get yours early to be sure of your place!! 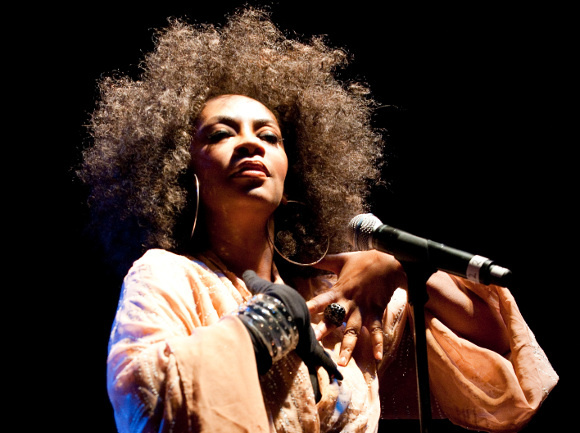 Starting out as a spoken word artist appearing at live poetry readings, Jill Scott was discovered at one of her shows by Amir "Questlove" Thompson of the Roots. Impressed by her delivery, he asked her to come to the studio to record a track, resulting in “You Got Me,” – winning the Roots a Grammy for Best Rap Performance by a Duo or Group, with Jill Scott doing her first major performance with the group as the song’s original singer. Following this, Jill Scott went on to collaborate with Eric Benet, Will Smith, and Common, and embarked upon a Canadian tour whilst performing in the musical Rent. Her debut album, “Who Is Jill Scott? Words And Sounds Vol. I” was released in 2000, following her signing to the Hidden Beach Recordings record label. Listed as one of the best of the year by Slant magazine, the album brought her endless attention from the public and critics alike. It was nominated for a Grammy for Best R&B Album in 2001, and has since been platinum-certified. Going on to release several more critically acclaimed albums, her most recent being “Woman,” in 2015, Jill Scott’s live performance has simply got stronger and stronger over time. Don’t take our word for it – book your tickets to see Jill Scott NOW while they last! !